Roses are perennials, meaning they come back year after year. Their blossoms are fragrant, and come in a wide range of types and colors. Some roses are even used as a source of vitamin C in tea and cosmetics. In addition to these benefits, roses are not difficult to care for if their minimum growing requirements are met. Take care when pruning climbing roses, as they may require old wood to bloom. The Lady Banks rose quickly grows to a height of 20 feet. This large rose offers growers a choice of white or yellow blossoms. The latter is unscented, but it doesn't have thorns. Once established, Lady Banks roses are drought tolerant and more apt to blossom with neglect than many cultivated varieties. A fast grower, it may be necessary to trim wayward limbs frequently. Cuttings can be successfully rooted in water or moist substrate. Lady Banks roses can be left to sprawl naturally, trained into topiaries or attached to cover arbors and fences. Night owls' blossoms are deep, dark purple with a contrasting yellow center. This rose has a fragrance of spicy cloves. True to most roses, it performs best when planted in rich, well-drained organic soils in an area that receives several hours of sunlight. 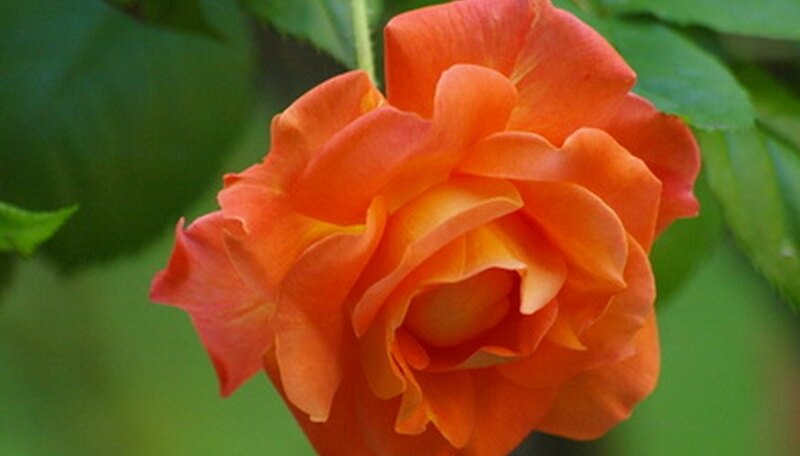 Keeping the soil moist and the rose fed often will promote the best show of blooms. The Cherokee rose is quick to climb or ramble over obstacles. It produces copious amounts of sweetly scented, five-petaled blossoms. Its white flowers are attractive to bees and butterflies. This plant is covered heavily in thorns, making it a good plant to grow beneath windows for home security. The Cherokee rose can be trained on arbors, fences or left freestanding. If care is taken with pruning and feeding, this wild-type rose can become a well-behaved addition to the landscape. This vigorous climber boasts white blossoms with red splashes throughout. Rosa Variegata di Bologna is a good addition to the garden for planting on fences or training to grow over arbors. Its large, variegated blossoms cover the plant when healthy and in full bloom. The roses are heavily scented.